Three suspects are in custody following an armed robbery this morning (Thursday) at the Verizon Store in Tilton. 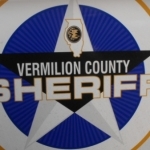 Sheriff’s Captain Michael Hartshorn told VermilionCountyFirst.com News that the robbery occurred around 10:10 a.m. He says the suspects were apprehended a short while later. Captain Hartshorn says the property taken from the Verizon Store has been recovered and nobody was hurt. Hartshorn added Danville Police assisted Tilton Police and Vermilion County Sheriff’s Deputies in taking the suspects into custody. The names of the suspects are being withheld pending the filing of formal charges.